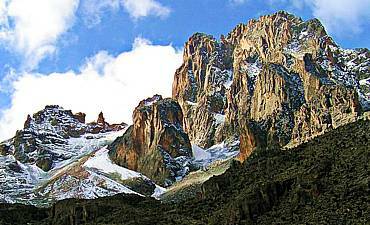 Need Help With Choosing Your Mount Kenya Accommodation? Scroll Down..
For a glamorous holiday at the suburbs of Mount Kenya, AfricanMecca recommends Fairmont Mount Kenya Safari Club at the Tier 1 level for those who want to stay outside the park borders in premier open grounds and Serena Mountain Lodge at Tier 2 level for deluxe-seeking guests who want to stay inside the park amidst the forest wilderness. 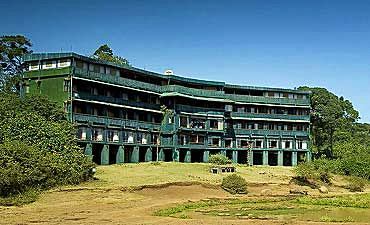 As an up-market accommodation, Mount Kenya Safari Club is a superb base for all of your activities. 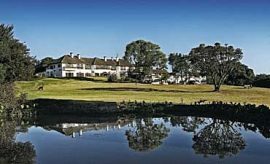 This William Holden founded club is located just outside the park along the boundary, so you are immersed in the utmost of pampering and service while still being close to the flora and fauna of the park (read more on when is the best time to go to Mount Kenya). Gorgeous gardens thrive in the foothills, attracting a variety of birdlife. Covering 100 acres, the lodge features colonial architecture that will remind you of the flamboyant safari experiences of early explorers in a more renewed boutique setting. Each of the 120 luxury guest rooms features a sitting area with fireplace, cozy bed, spacious bathroom, tea and coffee maker, personal safe, air conditioning and internet access. 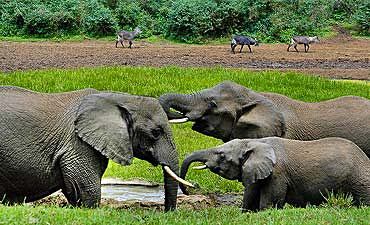 Cottages are available for guests who prefer a suite for their private and intimate East African trip. 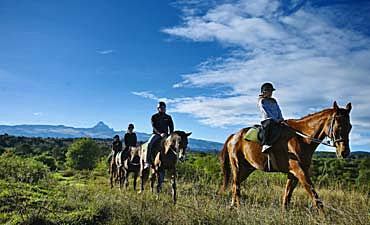 Serena Mountain Lodge offers a good balance between quality and cost as an AfricanMecca Tier 2 option. Located inside the Mount Kenya Park at the edge of the foothills, the lodge offers 41 guest cabins with large viewing window or private verandah for wildlife viewing. Surrounded by an incredible lush forest, the lodge is an admirable vantage point for watching buffalos, elephants and other large and small herbivores stroll to the watering hole to drink before disappearing once again into the forest. The main building and guest cabins remind many of our guests of tree-house structure, giving you a unique place to relax and rest in between your safari activities. Guest cabins feature en-suite bathrooms and comfortable beds. 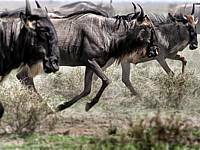 One of the most engaging parts of your stay at Serena Mountain Lodge is having the staff awaken you during the night to observe the nocturnal behavior of elusive wildlife at the watering hole and saltlick.